Stop me if you heard this one before: 100 players are dropped and forced to be the last ones standing in a play-space that shrinks every few minutes. The insanely popular Battle Royale genre has reached epic levels of popularity due to the unreal success of games like PlayerUnknown’s Battlegrounds and Fortnite’s hottest mode, Battle Royale. 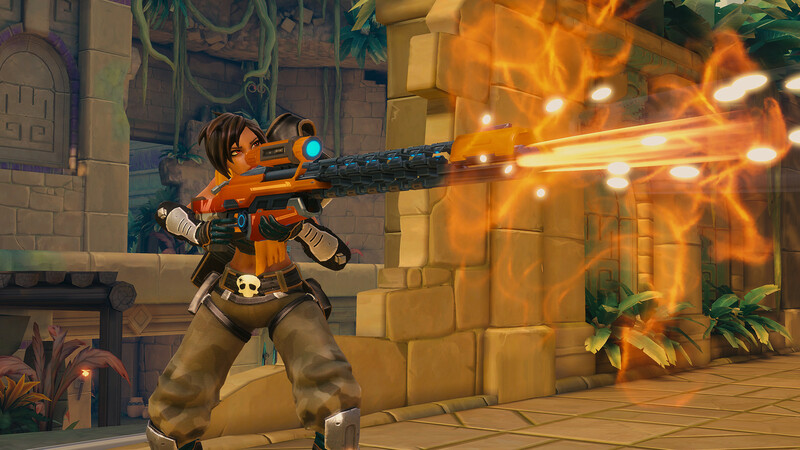 Paladins, Hi-Rez Studios’ free-to-play hero shooter, is the latest game to approach the emerging popular genre. 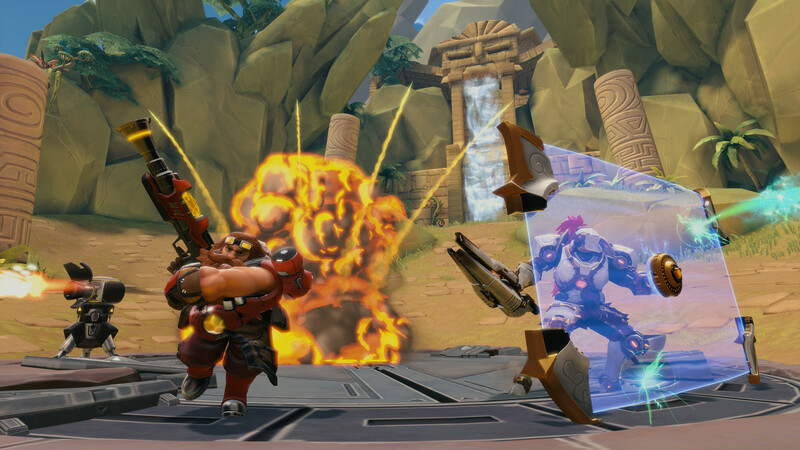 When we interviewed COO Todd Harris at HRX 2018, he told us that the team was ‘always experimenting with different possible modes in Paladins.’ This is evident with Team Deathmatch, coming to Paladins next week. Here’s where Paladins: Battlegrounds departs from a normal Battle Royale game: you have full access to each character’s skills (including their Ultimates once they build over time). Unlike typical Battle Royale games, which start with each player being nearly defenseless and scrambling for supplies, here you’re ready for a fight as soon as your zeppelin drops you off at the section of the map of your choice. Paladins: Battlegrounds completely skips the typical survival element of this game type by giving you everything you need in order to survive. Each hero has all their skills, their weapons, and a mount. Each team of four is given a choice of eight random heroes (two in each hero type) to make up their team. Team composition goes a long way and the random character selection will force players into playing with heroes they would normally skip in other modes of Paladins. Once your team lands in the area of your choice, what you’ll want to do is search the area for loot. Each hero has four item slots and each item will buff up different stats like damage, health, and even mount speed. Speaking of loot, legendary items are airdropped in via blimp. This gear shows on the minimap for everyone to see. In my time with the game, I saw plenty of crazy fights over this immensely overpowered gear. An entire party outfitted in legendary gear is pretty much unstoppable, from my experience. One of these items gave my Grover a 50% damage boost along with a boosting mount speed which pretty much turned me into a lighting fast death-tree. I can see why teams would be making mad dashes, risking a life and limb for some purples. The loot spread around the map is used to buff your stats. What’s more important though is how well you work with your team. The fact that you can use different hero classes like healers, tanks and support turn every encounter into thoughtful more deliberate engagements. This makes the fights feel more epic since they could end up being this minute-long team fights where bombastic Ultimates are spammed. Once the dust settles, there’s no better feeling than looting the corpses of your foes and taking their stuff. In one match, our team’s focus was always to take out Grover, an axe wielding Groot-looking dude who can heal units just by standing near them. Healers allow players to act a little bit more bravely than they would in your average Battle Royale game since they can always double back to get the health replenished. Playing a healer in most of my matches, I found that the ‘kill the healer’ strategy was pretty much universally accepted. Losing your healer or support character can cripple a team early and force them to keep their distance until the shrinking fog forces them to fight. I really enjoyed that aspect of Paladins: Battlegrounds, the planning, the chaos, and looting gameplay loop does scratch a different sort of itch in these types of games. The loot can make every hero viable. A fully geared Kinessa, a sniper hero, is devastating to any stragglers that don’t stick with their team That being said, it’s not perfect. I would have loved to see a truly random hero selection since each team ends up picking the exact four characters. I’d like to see the choices open up, but it may raise some balance issues since a team could potentially be packed with top-tier choices. It’s still early in development but Paladins: Battlegrounds looks like it could be shaping up something special in a genre that we can suspect will have a number of options for players in the coming months. Personally, I love to see different takes on popular game types by developers and see what they come up with. Paladins: Battlegrounds is expected to be available for PC before the end of March, while there’s no word yet on when it will land on consoles.